Dr. Nil Basu holds a Canada Research Chair (CRC) in Environmental Health Sciences at McGill University where he is jointly appointed in the Department of Natural Resource Sciences and the School of Human Nutrition. 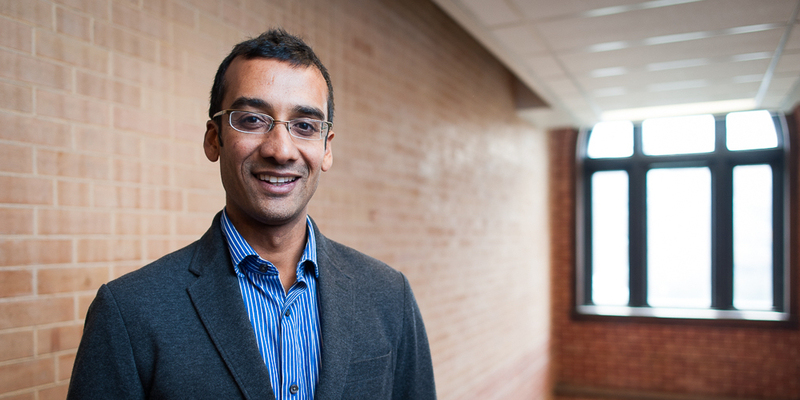 Dr. Basu also holds appointments in McGill’s School of the Environment and the Department of Epidemiology and Biostatistics, as well as an adjunct professorship at the University of Michigan School of Public Health. The goal of Dr. Basu's research is to take an ecosystem approach to community, occupational, and environmental health whereby evidence is collected, scrutinized, and compared from both humans and ecological organisms. Dr. Basu’s research is both inter-disciplinary (bridges environmental quality and human health) and inter-sectoral (most projects driven by stakeholder needs, notably government and communities), and increasingly he has assumed national and international leadership positions to bring together diverse teams to tackle grand challenges in the field (e.g., toxicity testing in the 21st century, mercury pollution, gold mining). Research activities are situated at the interface of science and policy with notable involvements with the UN Minamata Convention, Canada’s Chemicals Management Plan, and the Lancet Commission on Pollution and Health. The work has been supported by more than $35M in research funding, resulted in >150 peer-reviewed papers and afforded training opportunities to over 100 students. The objective of Dr. Basu's program is to research, develop and apply ecosystem-based approaches to address key problems in the environmental health sciences. The focus is on applying environmental toxicology and exposure assessment to increase understanding of risks associated with contaminants arising from the extraction of natural resources. Key to this approach is the ability to scrutinize and integrate data across species in a comparative manner (i.e. humans along with fish, birds, marine and terrestrial mammals) and to scale responses across multiple tiers of biological organization in an integrative fashion (e.g. cell --> individual --> ecosystem). In doing so, our program has developed multi-disciplinary research and communication skills that enable us to engage with and link together ecological scientists, biomedical researchers, and human health practitioners. Two major projects that we help lead include the EcoToxChip Project (funded by Genome Canada) and GEOHealth-West Africa (funded by US NIH-Fogarty and Canada's IDRC). 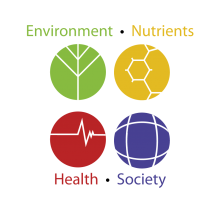 The ultimate goal of our program is to conduct excellent research in the broader fields of ecosystem health (environmental toxicology) and human health (exposure science and epidemiology) such that outputs may be effectively disseminated to diverse stakeholders (e.g., students, policy makers, scientists, community partners) and lead to public health actions and policies that contribute to improve environmental quality and human health in Canada and internationally. Nutrition and Dietetics: Introduction to how diverse approaches to nutrition research including international, community, laboratory, clinical, molecular, meta-analyses are necessary to advance the field of nutrition. Emphasis on ethics, scientific method, research process and analysis of results. Natural Resource Sciences: Topics in environmental health sciences: principles of exposure assessment and of toxicology. Restriction(s): Open to graduate students pursuing a career in Environmental Health Sciences or with permission of the course instructors. Not open to students who have taken or are taking EPIB 684 or EXMD 670 or PHAR 670. Natural Resource Sciences: Topics in environmental health sciences: principles of environmental epidemiology. Restriction(s): Open to graduate students in the Environmental Health Sciences or permission of the course instructors. Not open to students who have taken or are taking EPIB 685 or EXMD 671 or PHAR 671.